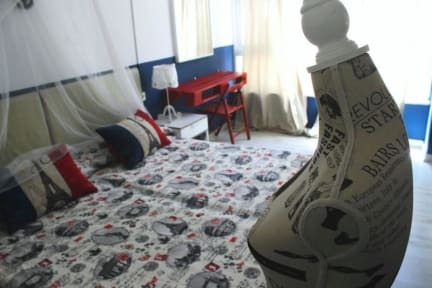 Feel Hostels Soho Malaga is in an excellent, central location near the port. It's around the corner from CAC Malaga, five minutes from the Parque de Malaga and just 10 minutes' walk from the Alcazaba. 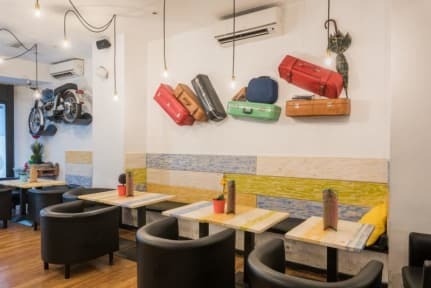 Hostelworld guests give consistently good ratings to this hostel, saying it has a 'fantastic location, great friendly staff and real value for money'. The friendly staff put on free paella nights which are great for meeting your fellow travellers. Good value for money! Excellent location and very comfortable and large rooms! I´ll be back soon! What I normally value most about a hostel is safety and cleanliness, and this hostel has reached my expectations! Amazing staying! I found everything I needed! If you come to Malaga, do not think twice and stay here. Very good value for money. I felt at home! Definitely worth what I paid for! I think I may have stayed in a unique dorm style room because the beds were somewhat haphazardly placed and didn’t all have easily accessible lights/lockers/outlets but it was clean, great location, and nice staff! Feels is a fine hostel in a great location just across the street from the old town in Malaga. The room was clean, the kitchen is big, and the staff are very helpful. however, the wing we were is definitely due for renovation. the tiles were dirty and cracked, and getting hot water from the shower was a chore. overall a fine stay. It was good! The breakfast however was a bit poor. The location is very central. The en-suite bathroom has to be cleaned often with cleaning products, not to wait for the guests to suggest when they have to do it, as it's written on the back of the bathroom door. I've booked a bed in a 8 bed female dormitory, but there were 10 beds, which means two more extra people queuing to use one en-suite bathroom. Not every bed has a light or curtains for some privacy. If you are in the very top floor dormitory it can be hot to sleep. Big common area. There was very little air flow in the room with only one small window in the corner of the room, but other than that I got what i needed out of the space.